This is the time of year that it seems as though wherever we go, we have folks asking us about ticks. And understandably so – the news appears to be plagued with scary stories of increased tick populations, and new scary tick-borne illnesses every day. This heightened awareness of ticks and the dangerous diseases they transmit, means more people want to know what they can do to “Stop the Ticks!”. We have compiled some simple but practical tips that you can implement to help protect yourself and your family. You have probably heard this time and again but this is a critical step in your defense against ticks – “The Tick Check.” Your backyard can be a hotspot of tick activity, so when you come inside, we recommend that you first check over your clothing for ticks and rather than toss them in the laundry, throw them first in the dryer on high heat for at least 10 minutes to kill any hiding ticks. Next, shower soon after returning indoors to help you remove any unattached ticks that may still be hiding on your body. If you should find an attached tick, check out this video on how to safely remove the tick. Habitat. We often refer to “tick hot spots” in your yard. Hotspots can be a variety of different natural habitats that are a part of your landscape. Therefore, you can modify your landscape to be less attractive to ticks. For instance, clearing leaf litter, and trimming tall grasses, bushes and other vegetation around your home can help toward reducing ticks in your yard. Wildlife. Discouraging deer and other wildlife from hanging out in your, by removing plants they like to eat, or constructing physical barriers will help them from carrying ticks with them into your yard. Treatments. According to the Center for Disease Control (CDC), even “a single springtime application…can reduce the population of ticks that cause Lyme disease by 65-100%.” Tick control treatments by a professional pest control expert is an effective approach to reducing the tick population around your home significantly. A professional will perform a targeted application to tick “hot spots,” creating a protective barrier around your yard. Ticks can also be brought indoors with your pets. You should consult your veterinarian on the best tick control options you can use for your pets. 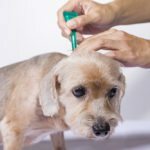 Regularly applying treatments as directed will help to prevent and kill any ticks that decide to bite your pets. If you feel trapped in your home and afraid to enjoy your back yard, Modern’s tick and mosquito control program creates a protective barrier around your home, where ticks are most likely to be found lying in wait. DIY solutions often focus on repelling ticks. They have very limited, short-range repelling properties and do not address tick removal from yard foliage. The most effective yard treatment for ticks is Modern’s Homecare mosquito and tick control, which will create a noticeable reduction in the number of ticks found on your property. 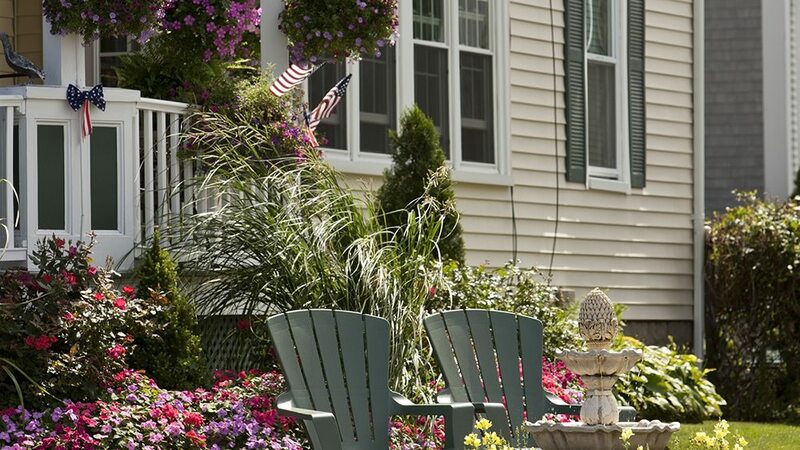 Let Modern help you take back your yard – give us a call or get a FREE online quote today!